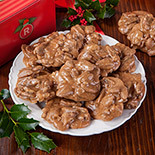 Tis' the season to celebrate the holidays and enjoy delicious treats with your loved ones. 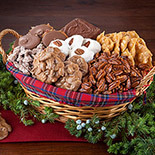 Our wide selection of sweets, cakes, and candy will be an excellent addition to your holiday celebrations. 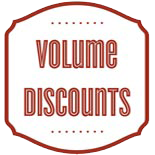 We have handpicked a variety of baskets, tins, pails, and boxes to create thoughtful and festive ways to send holiday gifts to your favorite friends, clients, and loved ones. 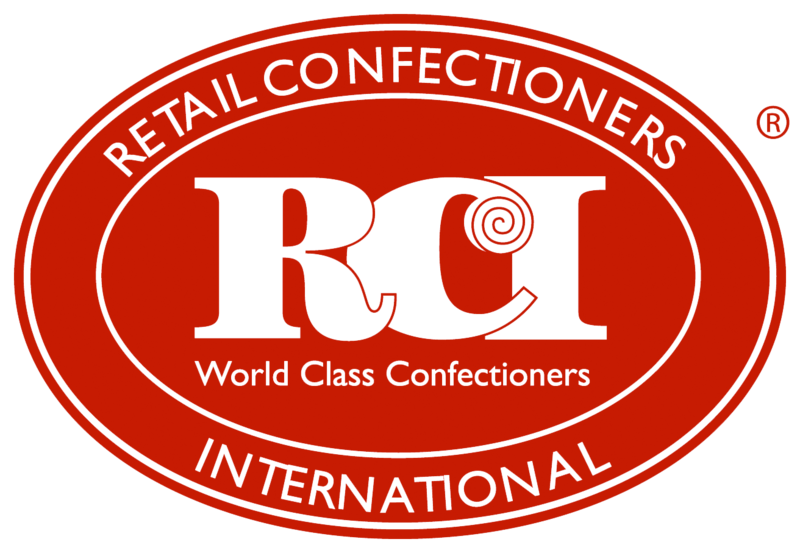 From salty-sweet treats to decadent cakes and our classic chocolate treats, there is something for everyone. 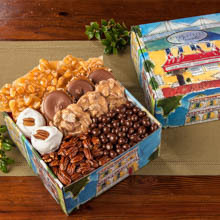 For your family members that enjoy Southern treats, this is a very good time of year to send them a little love. From holiday stocking stuffers to our holiday candy gift boxes, you can pick and choose the right assortment to bring a smile to their faces. 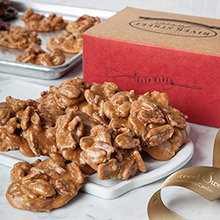 Caramels, truffles, log rolls, pecan divinity, pralines, and bear claws, are just a few of our offerings for your holiday candy gifts this year. If you have loved ones that enjoy layers of cake and frosting, our holiday bake shop is an excellent way to send them a little bit of southern hospitality during the Christmas season. 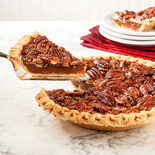 We have perfected a variety of southern recipes that have our signature River Street Sweet flavors and attention to detail. From a southern classic like our Red Velvet Layer Cake to a twist on something more contemporary with our Praline Cheesecakes, there is a flavor for everyone on your list. 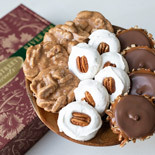 If you have a friend or family member that likes a little bit of everything, consider sending them our Cake Sample Trio. There is nothing like decorative boxes and beautiful bows to make the holidays feel special. 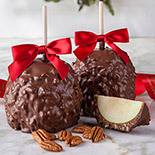 As you write your list and check it twice, you might be thinking of ways to send beautifully wrapped Christmas candy gifts to friends and family or simply looking for innovative stocking stuffers. 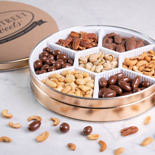 We have created our Holiday Stocking Stuffers for just that occasion, from samplers to tins there is a sweet combination of treats that look as great as they taste. 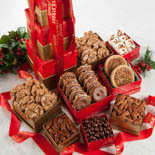 If you want boxes, bows, and beautiful presentation we have created our Holiday Candy Gift Towers. 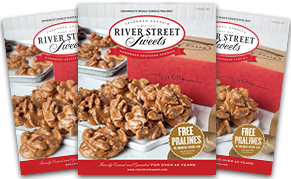 Our handmade treats are wrapped in various color coordinated boxes and tied together with a River Street Sweets ribbon; it is the perfect way to send one of your favorite things for the holidays.